Outside the Box: Spring Flowers! Well there will be soon - we had snow on Tuesday! But all that aside we have a new challenge at Eclectic Ellapu and the theme is Spring Flowers. 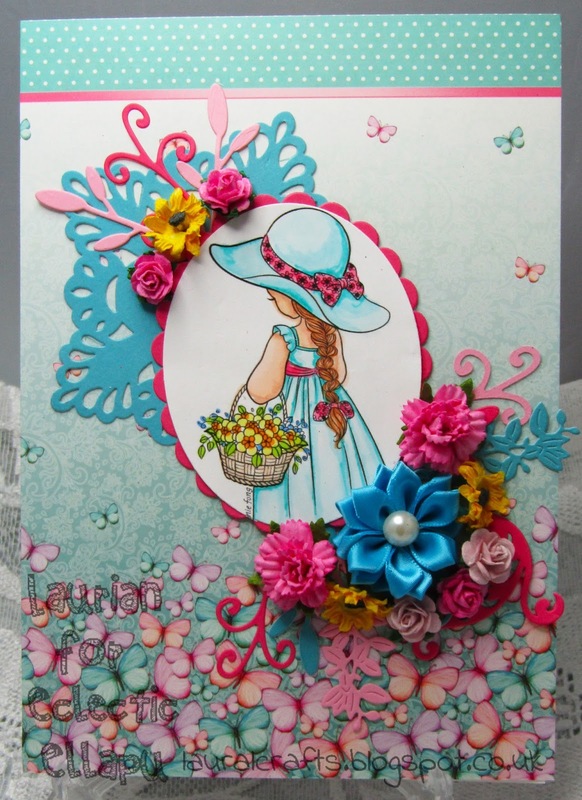 For my card I used some lush card from Hunkydory and layered it up with a beautiful image from Conie Fong, who produces some of the sweetest images! We'd love to see your spring flowers over at Eclectic Ellapu (Pink team) and if you're not feeling flowery the Purple team are having some "April Showers"!